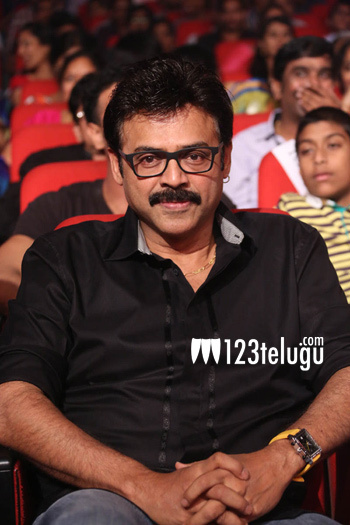 Victory Venkatesh attended the audio launch function of Alludu Seenu film and he says that the grand function reminded him of his debut days. “For my debut, my dad also celebrated the event with a lot of pomp and extravaganza. I am being reminded of those days when I see Bellamkonda Suresh ‘s efforts for his son”, he said. The audio album of the film was launched yesterday evening at a very grand event in Shilpa Kala Vedika, amidst a star studded crowd.